Partly-printed DS as president, one page, framed 20 x 15.25, December 17, 1915. President Wilson appoints William R. Russell as "Postmaster at Blake Andes, State of South Dakota." 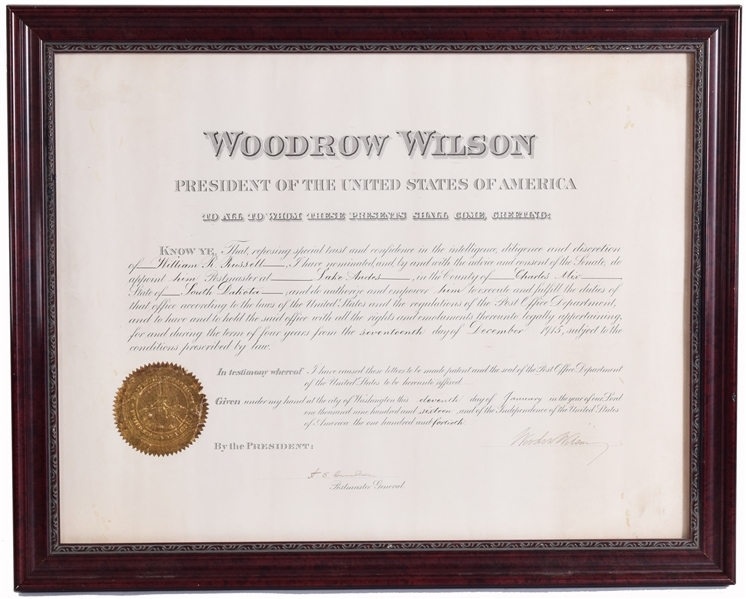 Signed at the conclusion in fountain pen by President Wilson and countersigned by Postmaster General Albert S. Burleson. The crisply embossed gold foil seal affixed to the lower left remains intact. In very good to fine condition, with some toning to the upper left corner.